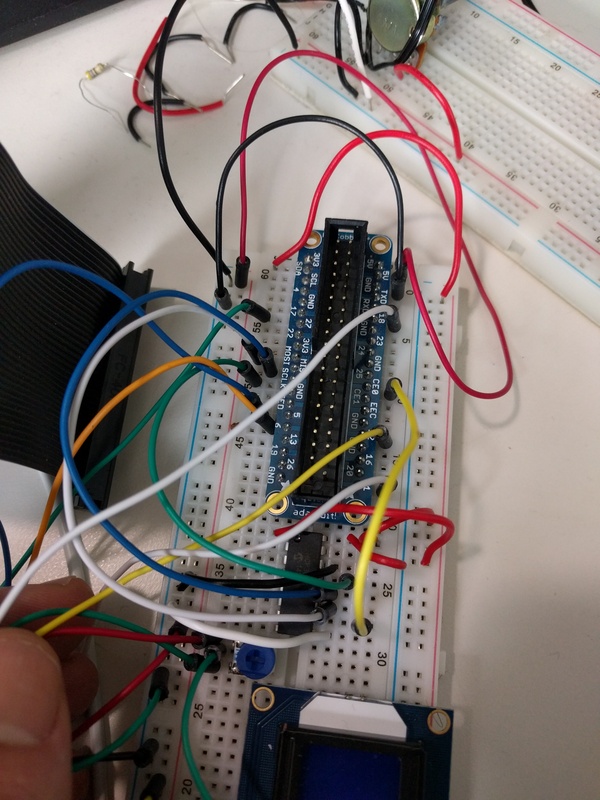 This is a simple script that reads all eight analog channels of an MCP3008 each second and outputs the result to the console. I created this script to ease debugging of the MCP3008 ADC connected to my Raspberry Pi. If you need to troubleshoot the SPI connection in itself you can check out my guide how to test SPI through the loopback "debug mode" https://mikaelleven.wordpress.com/2015/12/10/troubleshooting-spi-on-raspberry-pi-nodejs/. I have the same connections as laid out in your article, but nothing gets printed out under the 7 channel numbers. I have two pots connected to 0 and 1 of the MCP3008 (and the chip's connected to a RPi B+). Any ideas on how to further debug this? Try to explicitly set chip select, chip select polarity and clock divider (the commented lines below). You could also short circuit between ADC pin and either HIGH (+3,3V) or LOW (ground). You should get a solid reading of either 1023 or 0. If nothing of the above helps, could you please provide a screenshot or some more detailed information about what happens? 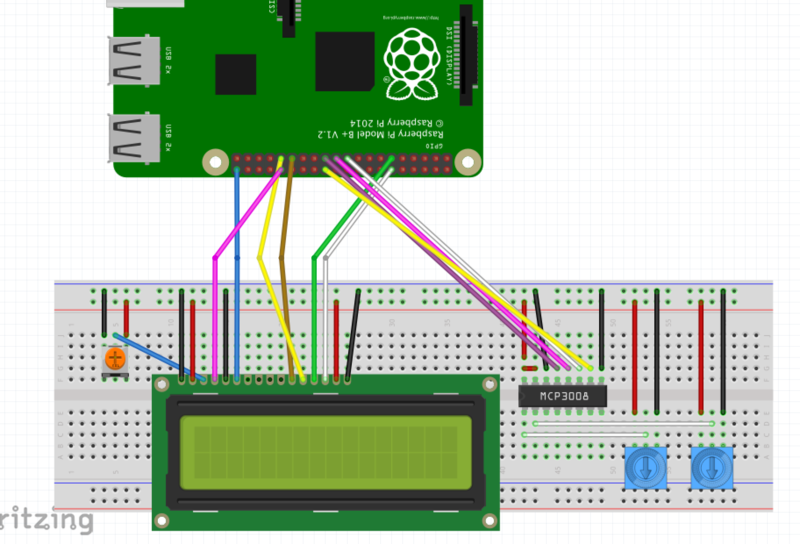 Note: The 5v pin is also used to power a 2x16 character LCD screen, which is wired to the Pi via I2C. When testing the MCP30008, I've tried connected power to both 3v3 and the 5v of the Pi, both situations yielded the same result. I'm having the same issue as nick-jonas. It looks like the issue is on line 20. spiTransfer now takes 3 arguments. @nick-jonas @justin522 I've updated the code to use last version from node-rpio. Hello @nick-jonas @justin522, did you resolve this problem. I have the same.